Happy Birthday to all of our November birthday guys and gals. 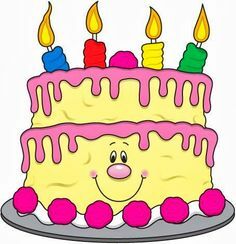 Hope you have a great day and don't forget to thank the kitchen staff for your cake! 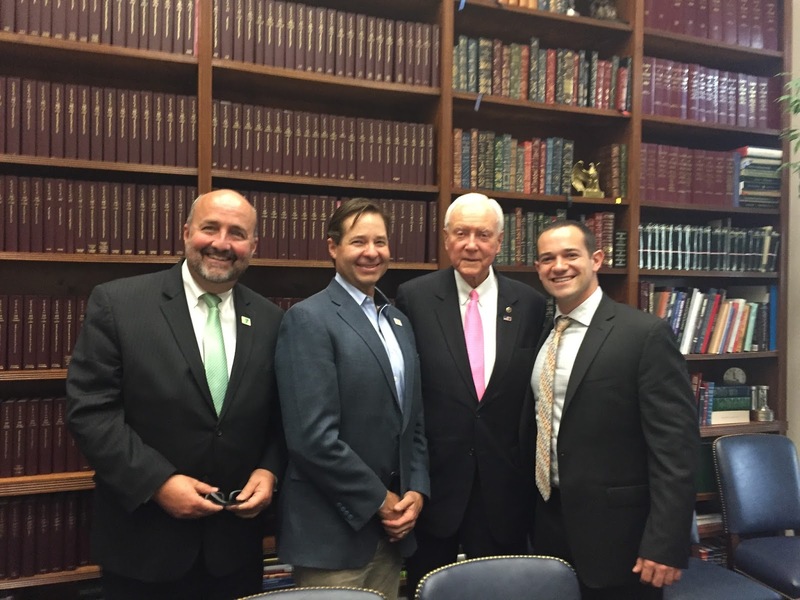 In early May, Andy joined representatives of other camps to lobby in Washington D.C. for The Child Protection Improvements Act (CPIA), which was passed in the Senate this week. Co-sponsored by Senators Al Franken and Orrin Hatch, the CPIA makes it easier for organizations such as camps to access FBI background checks when hiring, which is the only true National background check database. This is a great update and the next step forward for a bill which would help camps and similar organizations hire employees who are suitable to work with children. CPIA would also help keep the costs of these background checks reasonable in the future. The Senate's version of the bill will be voted on in the House before being signed into law. To learn more, you can read Senator Franken's release or view his tweets on the subject. There is still plenty of camping left in North Star's 73rd summer. We are currently in the middle of Lazy Day. Campers had an opportunity to sleep in this morning and have a made-to-order breakfast. For much of the day they are in charge of their own schedule, with the project areas around camp are open. Evening program will be casino night, where they will play a variety of games for the opportunity to win a small prize. Tomorrow is camper counselor switch day, where the senior village campers will switch clothes with the staff and assist in leading cabins and activities for a day. As we approach the end of the summer, it is important to reflect on one of the circumstances that made this summer unique. Before the summer, we sent an email to our parents and explained how we planned to help our community mourn the loss of Vickie Shlensky and carry on her legacy. We began by hiring a child life specialist and grief counselor, not only to provide individualized support for campers and staff, but to train our staff to better support their campers. We held pre-camp orientation sessions that dealt with topics like coping with adversity and showing empathy and compassion when communicating with children. The aim was to equid our staff with the tools to facilitate conversations about loss and other life-changing events. The staff did a spectacular job of supporting their campers and each other through this summer. We took a few opportunities throughout the summer to remember Vickie and process her loss. We offered a Friday Night Service each session that honored Vickie and discussed North Star values that were reflected in her life. The themes of these services were perseverance and community, and in the keylog ceremonies many campers and staff chose to dedicate their keylog to Vickie. Vickie’s strengths throughout her illness and end of life and were delivered through readings and moving sermonettes to teach our campers about the important North Star values that she instilled in all of us. In addition, the fieldhouse was dedicated and named “VICtory Fieldhouse” and a space within the building called “The Wall of VICtory” was created to exhibit modified keylogs filled with personalized messages. A plaque on that wall reads “small VICtories that have made a big impact on us all” and is intended to be a lasting reminder of the qualities that made Vickie a role model. The wall invites future campers to add their own keylogs in an ongoing effort to carry on Vickie’s legacy. The efforts of campers and staff made all of this possible, and it is with the love and support of this community that we will indeed carry on Vickie's legacy through a lifetime of North Star summers. Even though there is always “plenty of camping left,” it’s hard to believe there is only one more week left of second session. It’s been an amazing summer at camp. Saturday was the 73rd Pow Wow Day. Camper favorites such as Espionage, Lazy Day and Camper-Counselor switch day are still to come. Over the next week Andy will also be settling up with the hard-working counselors and staff members who make North Star such as special place. Lou and Leb have long asked the staff to “Remember the Scholarship Fund” in that settle up meeting, and Andy has carried on that tradition. The staff have been making a donation from their salaries to Camp for All Kids, the successor to the North Star Scholarship Fund. Many of you were counselors at North Star so you know that giving back part of a modest camp salary is quite generous for these guys. This is year two of the Settle Up Challenge. We had tremendous results last summer when 60 North Star staff members donated a total of $2,934.00, and 40 North Star alumni pledged matching donations totaling over $22,000. As a result, the Settle Up Challenge raised more than $25,000! The Settle Up challenge will increase the impact of each of our current staff members. If they know that their $20 (for example) may turn into $200 because we have 10 alumni matching them, that provides even more incentive for them, and we can send more deserving kids to camp! 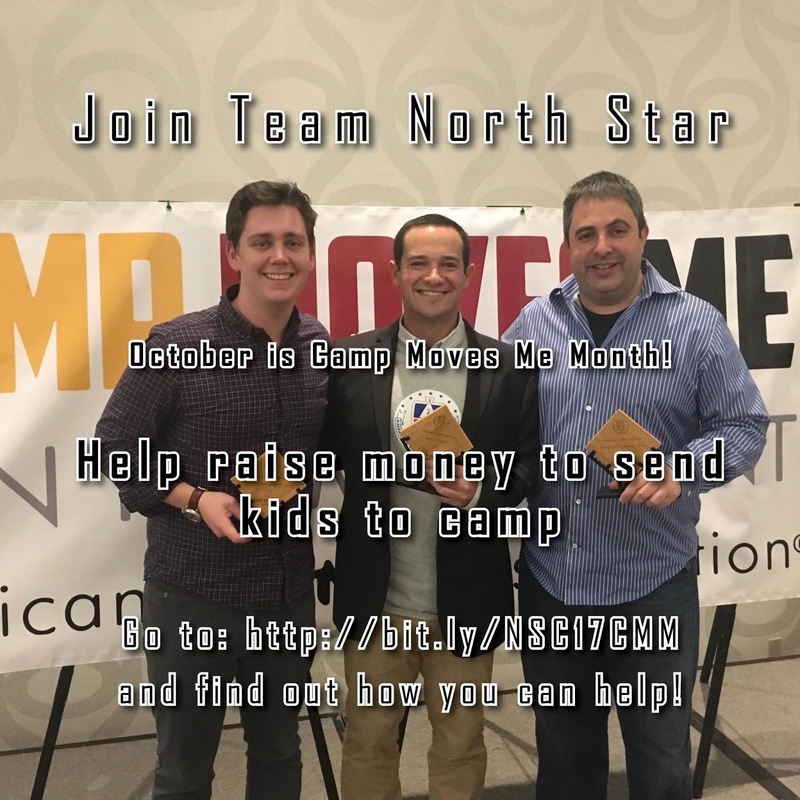 You can make your pledge by simply emailing Andy (andy@northstarcamp.com) with your commitment. You can set a cap on your matching gift. Last summer, staff donations were nearly $3,000. We are asking for a minimum of $500 from a matching gift. Staff donations are currently being matched by $16,750, but we are looking to beat last year's total! North Star has been the heart and soul of Camp for All Kids since its inception. Our alumni are consistently the most generous donors and active participants. Paul “Nate” Nathanson and Rob Porter have served as co-presidents many years. 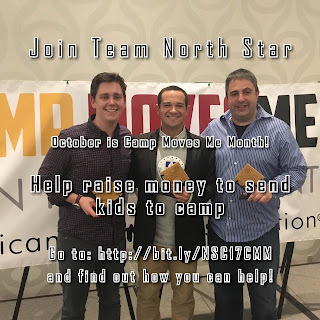 Moreover, four of the five Camp for All Kids partner camps are owned by North Star alum: North Star, Birch Trail (Gabe Chernov, Richard and Barbara’s son), Chippewa Ranch Camp (Cliff Lissner, who purchased camp from Tom Adler), and Timberlane (Mike Cohen). The fifth, Kamaji, was purchased last year by Kat Martin and Jason Nelson from North Star alums and Camp for All Kids founders Mike and Kathy Jay. The Settle Up Challenge is a great way to further instill on our current camp staff two of the distinguishing characteristics of North Star alumni – your generosity and your dedication to make the world a better place. Please contact Andy if you have any questions and, as always, Remember The Scholarship Fund! It has been a busy week here at North Star. The senior village played in College Days on Tuesday, Wednesday and Thursday. The sportsmanship during the three days was exceptional and all four teams had a ton of fun. The rest of camp were in their regularly scheduled activities, but got to enjoy smaller class sizes with the seniors in College Days. On Friday night our service focused on the value of community. We then welcomed a group of prospective campers and their families for our second Rookie Weekend of the Summer. Today, we had our Green-White Egg Marathon, and tomorrow many of our boys will travel to Camp Nebagamon for our Bi-Camp Competition. During College Days, the entire senior village was split into four teams for three days of varied events. The colleges this summer were the North Carolina State Wolfpack, the Florida National University Conquistadors, the Middle Tennessee State Blue Raiders, and the Hawaii Rainbow Warriors. In addition to competing in team sports such as softball, full-field soccer and basketball, the teams participated in less traditional events. There was a spelling bee, a Shark Tank style entrepreneurship competition a cheer-writing event and a cook-off over the campfire. Dishes as diverse as Mexican style chilaquiles to broccoli with bacon left the judges very satisfied at the end of the event. All four of the teams had a great time in a closely contested College Days, and at the end Hawaii pulled out a victory. The theme of this week's Friday Night Service was community, with a focus on our former director Vickie Shlensky. We not only spoke about the importance of being a positive member in the communities you are a part of, but we touched on the value of a tight-knit community. As a group, we reflected on how Vickie shaped our North Star community and the supportive effort of the community when she passed away in September. This afternoon we had the Green-White Egg Marathon. The event is similar to the marathon that takes place during first session, with one notable exception: the campers in each event have to carry a raw egg with them. If the egg breaks at any stage of the marathon, the team must run to the office porch to get a new egg. The marathon is one of the biggest events in our Green-White competition each session. Each of the two teams races to complete a massive relay race that features most (if not all) of the activities at camp. The marathon begins with a running relay and then moved to funbugging and paddle boarding. A runner then heads to the lower tennis courts for a floor hockey passing competition which precedes the Junior Obstacle Relay. Other camp activities such as archery, climbing, riflery, canoeing, swimming, log-rolling and biking are included in the Marathon. There are also some events that are not activities at camp but add to the fun of the marathon. Examples include the soda chug (smart campers get lemonade), tent making, bed making, setting and clearing a table and making a sun-butter and jelly sandwich. The marathon ends with "Boil Water Boil", which is a race to boil a pot of water over an open fire. The fires are always quite impressive and this event is a favorite because the rest of camp gathers around and cheers on their teammates as they build the fire. The 2017 egg marathon was a close affair with multiple lead changes. The White team capitalized on taking a lead into "Boil Water Boil" and boiled their water first. The marathon is the biggest team event we have at camp. Each event matters, and it is always great to see campers cheering on and encouraging their teammates throughout. While second session campers have only been at camp a little longer than a week, we are already into a great routine and it feels like this group has been together for much longer! Today we are finishing up our first set of activities for second session and each of the campers will sign up for new activities this evening. After tomorrow's cruiser day, they will have an opportunity to participate in new activities or sign up for higher levels in the activities they have enjoyed during the past week. 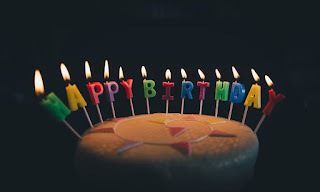 Since the last blog entry we have had a Friday Night Service with the theme of the importance of being yourself and a fantastic sermonette on accepting individual differences from counselor Oliver Cruddas. Friday Nights are such a special time at camp because of the Keylog ceremony, which gives campers and staff a chance to thank those they choose to in front of the entire community. Saturday was a fantastic day on the programs as the campers started their second set of activities for week one. Evening program Saturday night was North Star Ball, a variation of capture the flag. At the beginning of the session, each camper is drafted onto one of two teams, Green or White. North Star Ball is one of the activities that takes place in these teams. Similarly to capture the flag, camp is split into two sides and campers are tagged out by pulling a sock hanging off their back. The main difference is that instead of a flag on each side, there are two balls. These balls can be passed between teammates as they try to get them across to their side. To win, a team must get all four of the balls in play to their side. The boys really enjoy this variation, as it adds elements of teamwork and strategy into an already beloved game in Capture the Flag. Pine Manor went on a bit of a field trip on Saturday afternoon, as they were able to attend the final day of the Lumberjack World Championships in Hayward. Our oldest campers were able to see some of the best in the world saw through logs, speed climb up and down 90 foot poles, run the boom run and try to knock their opponent into the water in log rolling. They were also proud to come back to camp with some party favors, as they received some of the leftover wood from the chopping competitions. Sunday was another project day with an evening program of unorganized free and cabin campfires. Unorganized free gives the campers an opportunity to find creative ways to play and spend their time. Later in the evening we have cabin campfires, during which the cabins recap the week and talk about growth and goals, both as a group and personally. These campfires are an opportunity for the boys to reflect in front of their friends and talk about what they want out of themselves and each other in order to maximize their camp experience. The cabin campfires are finished off with S’mores around the fire. This afternoon we had another round of challenge games, when cabins challenge each other to various sports around camp. We even had two of our senior village cabins challenge each other to a "blob-off". This evening was another Green-White event, as the junior and intermediate village campers played in a Green-White series. The senior village kicked off College Days by watching an ESPN 30 for 30 documentary about the rivalry between the University of Alabama and Auburn University. College Days is a three-day program where the entire senior village is split into four teams without captains or staff advisors. They compete in various events throughout the three days ranging from athletics like basketball and soccer to a cook-out and a spelling bee. Tomorrow is our second cruiser day of the summer, cabins are looking forward to spending some quality time together. Cabins I2 and I4 left on their trips on the St. Croix and Lower Flambeau rivers this morning and will return on Wednesday. I5 will leave on their own trip on the Flambeau tomorrow morning as well. It is hard to believe we are already more than a week into the session, but we are looking forward to all of the fun to come! Today was our first cruiser day of the session. Cruiser day is a departure from our regular schedule and is a day the boys spend with their cabins. Cabins decide their schedule as a group. Many of the everyday camp options are available to the group, with the addition of a few activities that are only offered on cruiser day. Cabins have the opportunity to go tubing on the lake, head to a resort across the lake to buy some pizza or candy and hang out and even cook a small snack as a cabin. This week the food offering was M&M cookies, which looked and smelled delicious. Cruiser day ends with a cabin cook-out. This week we made walking tacos. Walking tacos are when you cook taco meat and add it (along with some toppings) into a bag of Fritos. Once you mix the meat with the chips you have a great meal! For desert we had candy cones, which is ice cream cones stuffed with chocolate chips, miny M&M's and marshmallows. You wrap them in tinfoil and cool them over the fire so the ingredients melt. Yum! The Junior Village had a village cruiser day. They spent their morning at the Wilderness Walk in Hayward, a small zoo with local animals. In the afternoon they headed to the K.O.A. park, where they enjoyed a waterpark, mini-golf, a bouncy pillow and snacks. They made their walking tacos at Hayward Beach where they also threw a few balls around and hung at the beach. The Juniors were treated to Ice Cream for desert from West's Hayward Dairy, the best ice cream in town. We have had an eventful few days since the last update. On Tuesday night we had staff introductions. A few of our more creative staff decided to do them in the form of a WWE show but with a North Star twist: the staff would be LEG wrestling! Each cabin filled out a bracket with their favorite counselors winning and then we were treated to our staff members leg wrestling. The event was filled with pageantry and costumes and the campers were cheering on their counselors throughout. Chase Hanson ended up taking the crown before the camp chanted for our C.I.T. Director Jeff McCormack to try his hand. You can see the result of that bonus match on our Facebook or Instagram page. The following evening we played a series of games on the athletic fields including human battleship. Tomorrow is a normal day filled with programs and will end in our first Friday Night Service of the session. We are also awaiting the return of cabins S1, S2, S3 and S5 tomorrow, as well as S4 on Saturday! Today was the first full day of second session after the campers arrived yesterday. We had cinnamon rolls for breakfast before heading into the first cabin cleanup of the session. The villages rotated through swim tests, health checks and village activities for first, second and third periods. Since they completed swim tests and health checks earlier in the summer, our 8-week campers went to Wisconsin Point Beach in Superior, WI for a beach day. They spent the day swimming in Lake Superior, playing games, and hanging out on the beach. After third period there was an organized free, giving the boys the opportunity to go to any of the activities available at camp, or just hang out in their cabin if they prefer. We then had our opening night banquet and welcomed the campers into the dining hall for a meal of pasta. After dinner we learned a few rules for camp that were not covered in our opening night announcements. Wanegan King Drew Lorimer then held the first wanegan of the session and then we had a game of all-camp capture the flag before bed. The cabins of S1, S2 and S3 will leave tomorrow for hiking trips in the Porcupine Mountains, and cabin S5 departs for their trip on the Brule River. The rest of camp will begin their summer activities with our first normally scheduled day of the summer.